a few quick win areas that are often being forgotten. 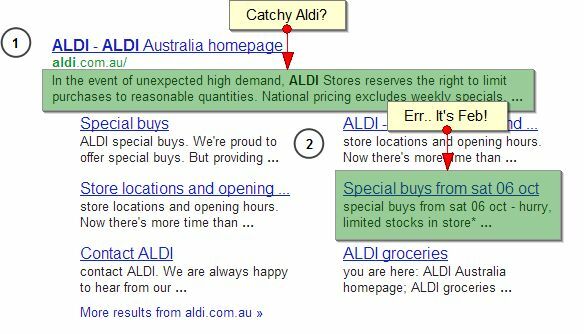 In the interest of being local, I’m using all Australian search results for this particular exercise but the quick wins remain true no matter the territory! Brand searches are not a guaranteed conversion, it is too easy to assume so. Don’t give the searcher the opportunity get distracted by what else is on the page, ensure a brand search is always part of a wider branding exercise. Just because they’re already looking for your brand doesn’t mean they are 100% loyal! Set Up Google Places For All Your Stores! You have a store locator on your site, so you clearly want people to find your bricks & mortar stores. Customers are searching on your brand name, think if this is on a mobile. They may be very likely to want to find out what the nearest store to them is. There’s no competition as this a brand name search so make sure you set up those Google Places results to capture that footfall! This is not about products, generic keywords or competitive niches. This is classic branding – ensuring that you can associate your brand name with a location, send people to your store! 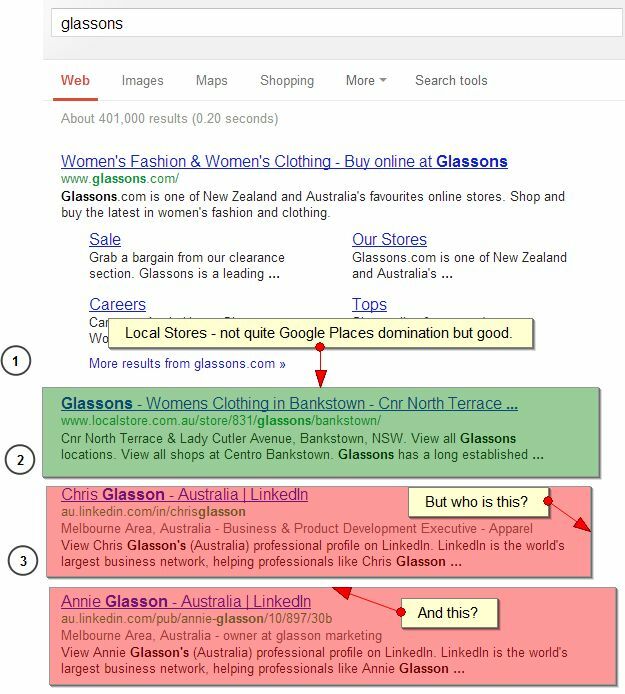 Dominate Your Brand Search Results Page! There should be no excuse for other results to appear on the first page of your brand results page unless you are unlucky enough to share a name with a big Hollywood star or movie. With the huge number of social networks now playing a part in everyday life, establishing a proper social strategy that ensures you represent your brand name well across those sites as well as within search results should be a given part of any SEO strategy. It isn’t only about Facebook or Twitter, consider the more niche sites for your brand – e.g. Polyvore or The Fancy for fashion in this case. Let’s get back to basics. It’s amazing the number of stores who do not take a few minutes to ensure that the main result for their brand name within search engines does not reflect brand messaging. 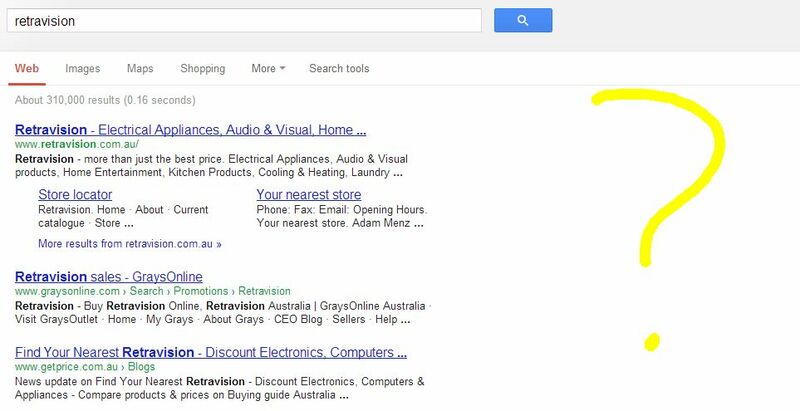 This would never happen in a TV advert or in a newspaper, so why is it ok that prime brand real estate within the search results pages is completely off brand? 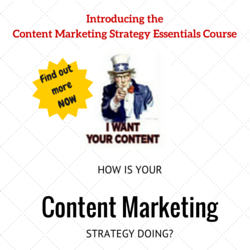 Make the Most of the Content you Have! It’s not every brand that is lucky enough to naturally allude to video or schema-friendly content so if you have it, play it to your advantage. Do you work in the construction business? Then make those really useful ‘How to plumb in your washing machine’ videos and get a video sitemap up there. Represent the expertise your brand prides itself on! (Or in the words of Will Reynolds, do some Real Company Stuff). If you have recipes or product prices, don’t hide them away on the page – make the most of schema.org. Let’s compare 2 searches I did after remembering seeing the recipe cards ‘somewhere’ when shopping. How many times have we noticed something offline then looked for it online? Make it count! Now let’s look at Coles – nicely done guys! Schema markup does not have to be hugely technical and is often thought of as more scary than it actually is. Here’s a useful idiot’s guide to Schema markup written by State of Search’s own Ben Holbrook, a more in-depth look at Schema from the SEOGadget guys and even a useful schema creator tool thanks to the guys over at Raven. And on that final note, I’d add one more comment to considering branding as an SEO tool. 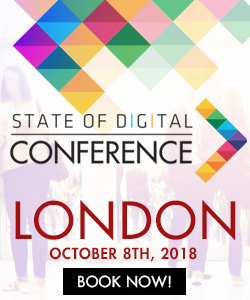 As we continue to struggle to track clear analytics data, traffic, rankings and personalisation and social signals are on the rise – remembering that search engines can have a huge influence over brand should not be underestimated. Consider the offline/online impact. Don’t let messaging within your search result clash with the wider advertising campaigns. SEO is often thought of as a given. By the time someone searches on a brand, they are already converted. Not true! Look at attribution modelling and the number of 4 to 6 track conversions so many sites have. Raise your chances of creating a brand loyal customer. Ensure than brand messaging is end to end, not just above the line – SEO and brand marketing are not mutually exclusive! With thanks to Behance.net for the image.